Published: March 29, 2015 at 11:24 a.m. 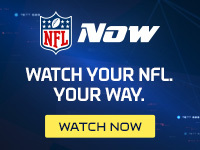 Updated: March 29, 2015 at 06:46 p.m.
Eddie Lacy took the next step in his second season with the Packers, playing more on third down and making gains as a receiver out of the backfield. The final numbers told the story of a player who had arrived. The running back finished with more than 1,500 yards of offense and 13 total touchdowns. With Lacy now fully established as one of the game's premier young backs, Packers coach Mike McCarthy is making plans on how to keep Lacy at that level. "I really felt that last year's conversation was more important than this year's, the ability to make a huge jump from Year One to Two, being a three-down player, that was something we stressed from Day One, and I thought he delivered," McCarthy said at the NFL Annual Meeting, according to the Milwaukee Journal Sentinel. An increased workload could be one avenue of growth for Lacy. He averaged just 15.4 carries per game last season, ranking him 13th in the NFL. McCarthy said Lacy's 246 rushing attempts fell short of the goal he had set prior to the season. "Maybe not run attempts," McCarthy said of the season target. "But I thought we were really smart the way we used him. ... I thought his pass protection he made a huge jump, and his ability to play out of the backfield. Eddie has excellent hands, and just his understand and his feel with Aaron, he definitely made a step." McCarthy referred back to Ricky Williams during his 2000 to 2004 run as Saints offensive coordinator. He called Williams "the first running back that I went through the how-many-attempts, how-many-runs (discussion)." Now McCarthy is tasked with figuring out the right level of work for Lacy, who like Williams, has a punishing running style not known to prolong careers.